Ideal for new seeding, top-dressing lawns and patching bare spots. Helps retain water while promoting drainage. 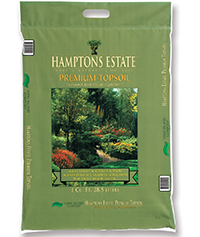 An excellent quality, all-organic lightweight soil that will promote healthy root development and top growth Ideal for new seeding, top-dressing lawns and patching bare spots. Helps retain water while promoting drainage.